Beef Burgundy is a savory succulent red wine stew filled with tender pieces of beef, mushrooms, pearl onions, and fresh herbs. This recipe is easy enough to make for a busy weeknight dinner and fancy enough to serve when entertaining guests! Beef Burgundy is comfort food at it’s finest! 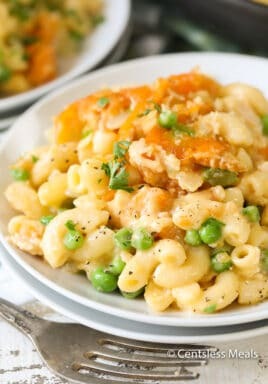 Served with your choice of mashed potatoes or pasta, your family will love this delicious recipe! Hello! It’s Krissy from Self Proclaimed Foodie and Ten Acre Baker again. 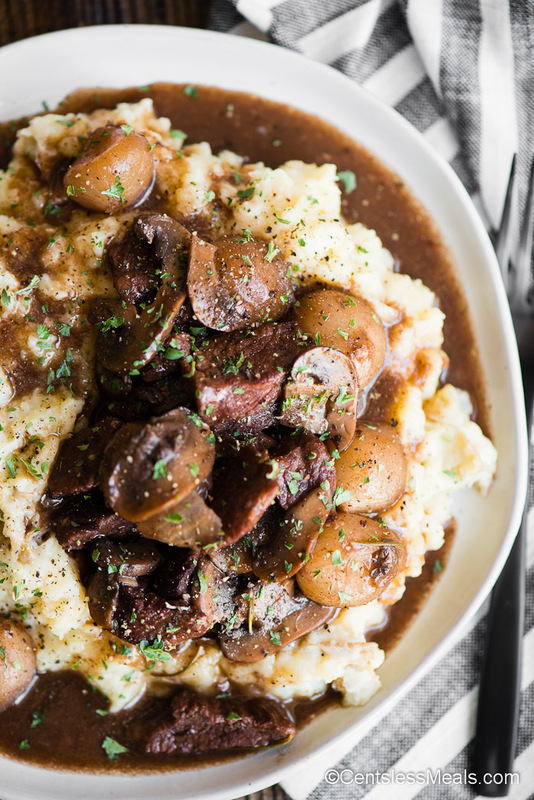 I’m so excited to share this mouthwatering recipe for Beef Burgundy with you. 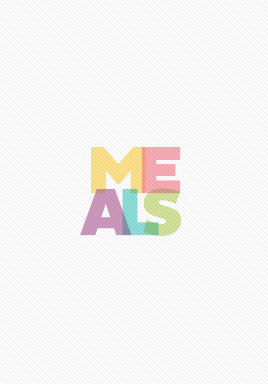 I love having delicious go-to dinner recipes that my family loves. We usually stick with our regulars like salmon patties or stovetop meatloaf, but on occasion I like to get a little fancy and take it up a notch. 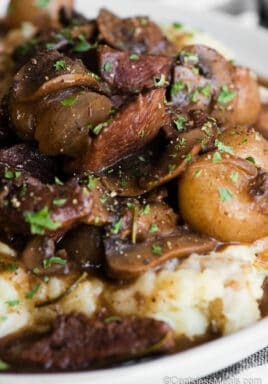 This savory beef burgundy recipe works perfectly when I want a dinner that not only tastes amazing, but is at the next level when I want to make something a little more fancy. Beef Burgundy uses stew meat. When cooking with stew meat, you’ll get the best results when you brown the meat first and then braise it in a liquid to make it tender. For this version of beef burgundy, I decided to cook it on the stove top. I started by browning the meat in oil with a little flour. This gave it a nice crust and allowed a lot of flavor to stick to the bottom. Once the meat was browned, I removed it from the pan and set it aside. Next I sauteed the onions, mushrooms, and garlic with some balsamic vinegar. The house was beginning to smell amazing. Then I deglazed the pan with beef broth and red wine. I may or may not have been sipping on a glass of that same red wine. You’ll want to be sure to scrape every little last bit off the bottom of the pan because that’s where all that amazing beef burgundy flavor is. Finally you’ll add your browned meat along with some fresh herbs, salt and pepper back into the pot and cook it low and slow until the meat falls apart. I like my beef burgundy gravy to be slightly thicker so I add a cornstarch slurry. 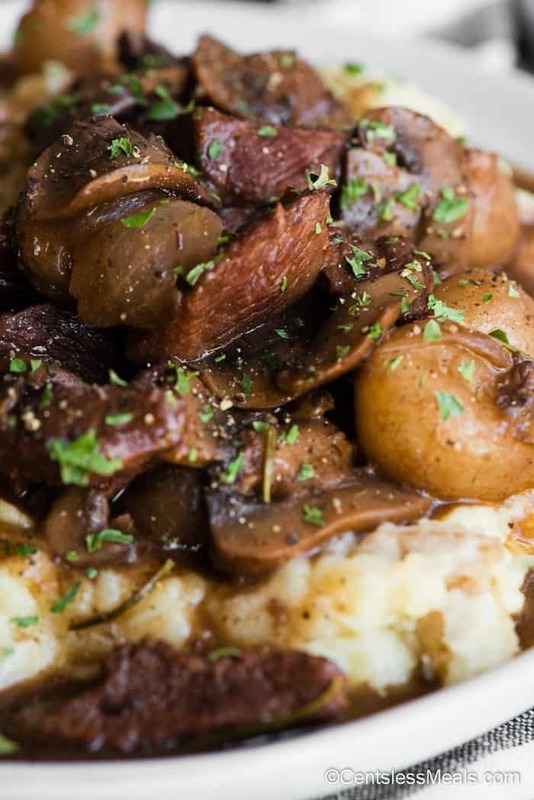 I find that Beef Burgundy tastes equally amazing over mashed potatoes as well as over pasta. If making mashed potatoes, you might want to add in some beef broth and butter like I did. 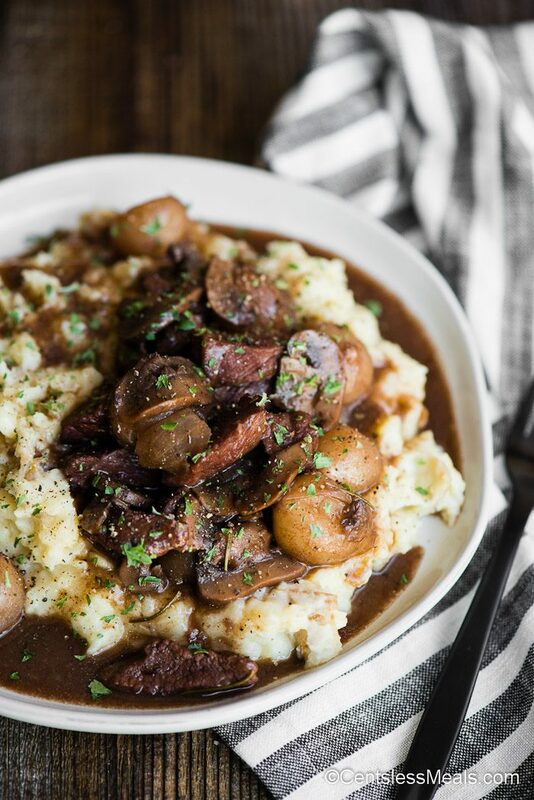 This not only gives your mashed potatoes the perfect consistency to hold all of that savory beef burgundy gravy, but the flavors will work perfectly. If you truly want to take this meal over the top, I highly recommend making homemade pasta! Regular dried pasta will always work, but once you’ve made homemade pasta, especially when served with a braised beef burgundy recipe like this, you’ll never go back. 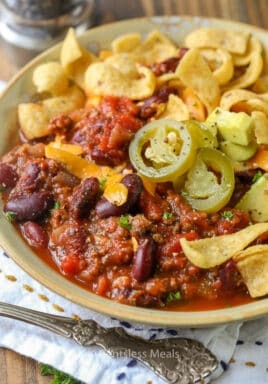 Here are a few more of my favorite beef recipes! Instant Pot Beef Stew – A Classic! Crock Pot Italian Beef Sandwiches – An easy make ahead meal! Beef Burgundy is a savory succulent red wine stew filled with tender pieces of beef, mushrooms, pearl onions, and fresh herbs. Heat oil in a heavy bottom pot over high heat. When oil is hot, add meat and sprinkle with flour. Meat must be in a single layer and not crowded in order to properly brown, so you may have to work in batches. Cook, stirring only once to turn, until outside starts to brown. Once brown, remove from heat and set aside. Add mushrooms and onions to pot and allow to cook, stirring infrequently, 3-4 minutes. Add garlic and balsamic vinegar, stir, and cook for another 1-2 minutes. Add beef broth and wine and scrape bottom of pan with flat edge wooden spoon to deglaze. Once everything has released from bottom of pan, add browned meat along with any juices, rosemary, thyme, bay leaves, salt and pepper. Stir well. Reduce heat to a simmer, cover, and cook for at least 1 1/2 hours until meat is tender. Mix corn starch with small amount of cooking liquid in small dish to dissolve. Add slurry back to pot and mix to thicken. Serve hot over mashed potatoes. Beautiful. I’ve never made this with balsamic vinegar! Interesting! I had used salt pork that I poached first to remove the saltiness, and then sauteed it diced. It’s add another level of flavor. It’s definitely a fabulous dish! Glad you loved the recipe Mimi!